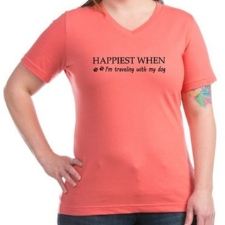 For years, I have wanted to travel to the Outer Banks, NC with a dog. I lived in Raleigh, NC for five years and only made it to the OBX for two hours. This time, we were going to do it right. We were staying a week in Duck, North Carolina with Dexter The Dog! We booked a week at Donald’s Duck from Twiddy. 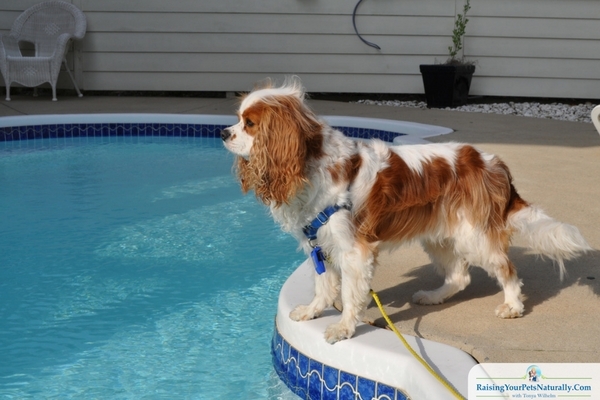 Donald’s Duck is a dog-friendly vacation home situated right in Duck, NC. 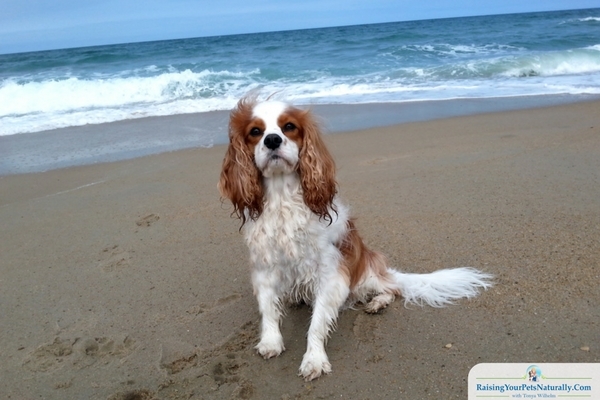 A perfect location for our dog-friendly Outer Banks vacation. We had just a short stroll to the beach and were only a mile from the shopping centers. We were there at the beginning of May, just before tourist season started, so the traffic I’m sure was much lighter than usual. This also means that some stores have limited hours, so check ahead. The dog-friendly vacation home was perfect for our family. The house was nestled in a quiet community and we had such a great view on our decks. A huge bonus was that the rental home had an outdoor pool, which also meant a fenced in area for Dexter to romp around in. The pet-friendly rental home in Duck, NC was very cozy, yet roomy. It was three stories high, something Dexter The Dog wasn’t used to. He sometimes would stand at the top of the stairs and look at me like I was crazy going up and down. After our week-long trip, I think Dexter’s legs were tired. Dexter and I spent a lot of time at the beach just a few walking minutes from our rental. The beach in Duck is dog-friendly and dogs are also able to play off-leash if under verbal control from their guardians. I personally never take this risk and use a 50′ boat line leash I made for Dexter. 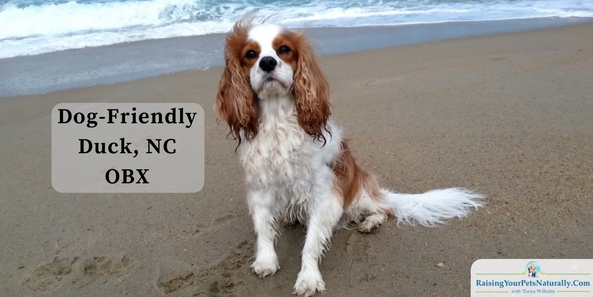 We did a lot of fun, dog-friendly activities during our week’s stay in Duck, NC. Dog-friendly shopping is always on our agenda. So we hit Scarborough Faire Shopping Village. 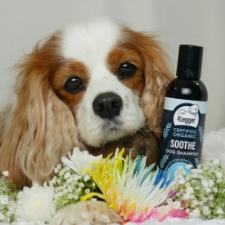 We did our usual asking if Dexter could come into the shops and were very happy that a lot of the stores said yes. There were some pretty cool shops! Of course, we had to visit The Outer Barks! 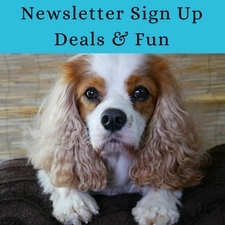 This is a dog-friendly, dog gift store that I have heard about for many years. The shop was full of great dog gifts, fun dog treats, and lots of pet souvenirs. We went not only once, but twice. They had a Yappy Hour and it was a total blast. Dexter The Dog did 2 paw paintings, one for us and one that we auctioned off at his yearly fundraiser. 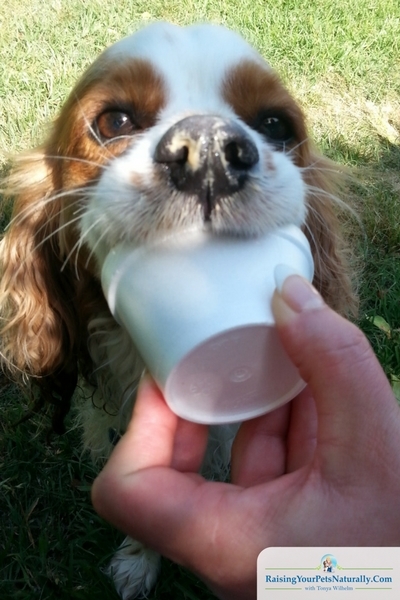 After our fun shopping, we grabbed some ice cream from The Yellow Dog; how could we possibly pass that up? They have salty and sweet snacks and of course ice cream. We chose our usual ice cream cones (one day I should get adventurous enough to order something unusual). We headed down to the little park, outside eating area they have in the middle of Scarborough Faire Shopping Village. It was a perfect, dog-friendly outdoor eatery location. 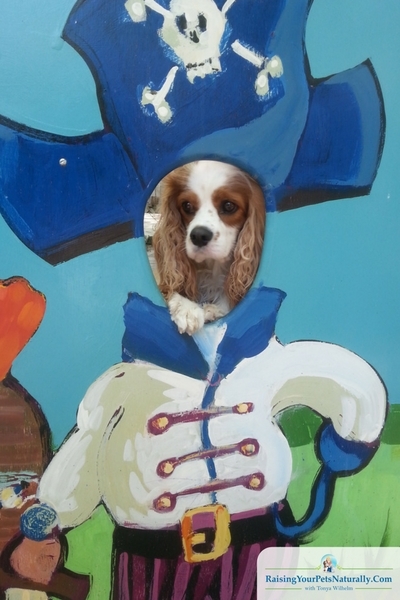 They even have these cool cut-outs you can pop your head in….yes we did! It was a wonderful dog-friendly excursion. 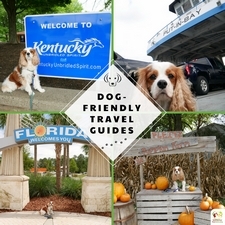 That was just one of our dog-friendly trips to Duck, NC! Another day we headed to The Waterfront Shops. They too were pretty dog-friendly and accommodating. 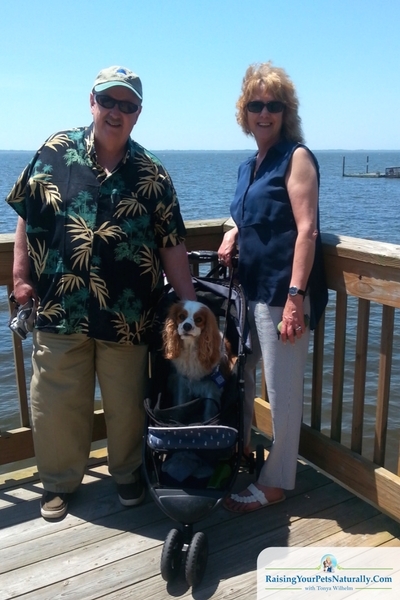 We just continued to ask if Dexter could come in and they pretty much always said, “Yes.” The shops were situated so that the walking was on a boardwalk facing the shores of The Currituck Sound and meets up to the Duck Town Boardwalk. So of course, after our dog-friendly shopping, we took a walk on the boardwalk. By that time Dexter was pretty tired, so he hopped in his dog stroller. The Roadside Bar & Grill in Duck, NC was dog-friendly on their outside patio! So we hit that restaurant up a few times. Not only was Dexter accepted, the food was great! I particularly remember my turkey sandwich. It wasn’t your typical sandwich; it had sprouts and avocado. Super yummy. We also hit Salty Paws Biscuits in Duck, NC and their other location in Nags Head. It was a sweet little dog shop that specializes in homemade dog treats. Dexter The Dog never complains about eating a dog treat. Duck, NC was truly a dog-friendly vacation. There were plenty of pet-friendly activates to do daily. 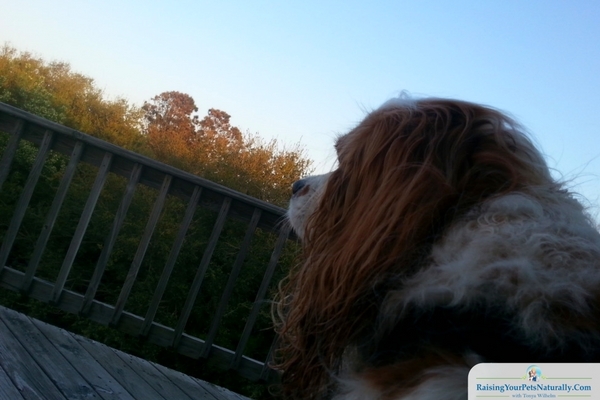 Dexter & I would love the chance to vacation in the OBX again. Have you ever visited Duck, NC? Tell me in the comments. OBX is very dog-friendly. I would definitely check it out. awwwh I loved this!!! It looks like you guys had the best time and he’s so cute!! Thanks. We so enjoyed Duck, NC. Dexter loves the coast. Thanks, Victoria. Traveling with Dexter is certainly one of my favorite things in life. I encourage you to try with your dog. Glad to have met you. This is helpful information! I didn’t realize how many places were off limits if you had a puppy! Since marrying into a family with a dog, we have to be more thoughtful about planning our vacations! Yes. It definitely takes a little planning when traveling with a dog. Luckily, a lot of places are dog-friendly. Particularly in Duck, NC and the OBX. I always see dogs at the beach. They seem to love it! 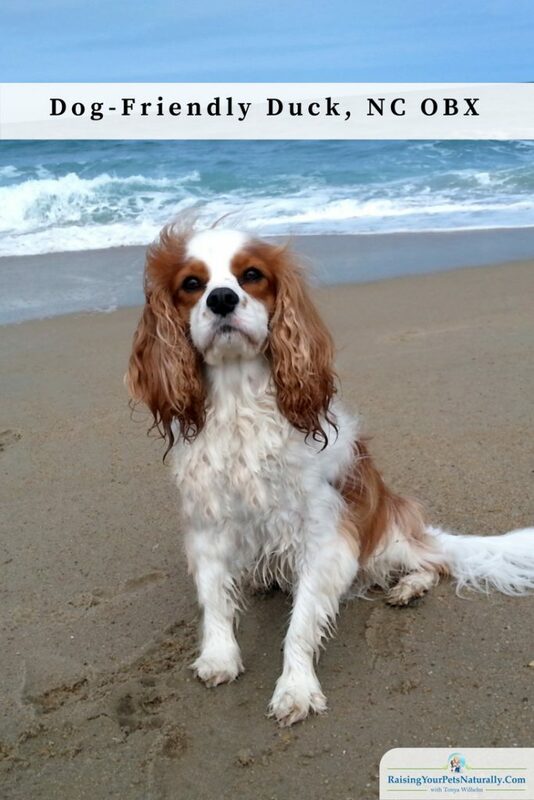 I love it when dogs enjoy the beach! So much fun. Thanks! I also tend to buy things in non-pet stores that allow Dexter. A bit of a thank you. So a bonus for them! Turtle pet sitting. Too cute. 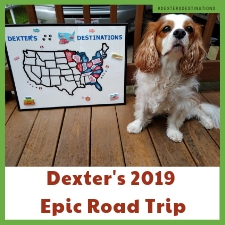 Luckily, my family loves traveling with Dexter, so we just make sure we book a place that is dog friendly and look for fun activities that allow Dex. It is difficult to find vacation spots that are pet friendly and I am thankful you listed some of those places! I get a little upset leaving my dog with a sitter when we go on road trips, but now we know where to go and take him with us. He’s family so he has to have some fun too! Thanks, Annemarie. It can be challenging at times. But, I’ve found with some digging you can uncover some real gems! What a great trip this was! I love all the fun names of these places, it must be such a fun place. Thanks for sharing. I Pinned it to my Pet Travel board! How much fun!! I have a puppy, but we are training her to hopefully travel with her someday. Love this beach!! That’s great! Puppies on a beach are so much fun to watch! They tend to be in awe over the waves and sand. It can be challenging. But, with a little digging, we can find some real gems. It’s a great place. My family also had a fun time in all the local shops and coffee houses. I just visited a hotel that was pet friendly. It was really nice to see all the families on vacation with their pets in tow. That’s great! It is so nice that there are hotels that continue to be pet friendly. Most of feel our pets are family and want them to go too. How cool is that! I have always wanted to go to the Outer Banks. It looks gorgeous. The Outer Banks is amazing. So breathtaking. OK so how cute s this travel buggy and I have to say you guys are the most travelled pet owners. i love that you are able to share and explore thuogh, these pet friendly adventures.